With over 40 years experience, Precast Solutions is proud of our commitment to customer satisfaction and quality control. With our move to a new modern facility on a custom designed campus in 2008 we took this commitment to an even higher level. We manufacture concrete products for commercial and residential construction with a level of quality that our clients have come to count on. 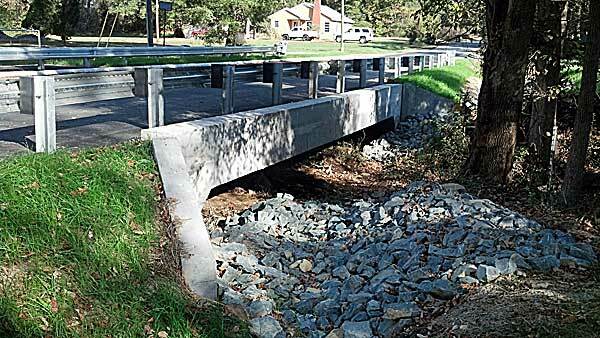 We can design water, waste-water and storm water systems to meet any situation. Some of our projects have been innovative industry leaders showcasing the effectiveness and strength of concrete in unique situations. We may have an approved design in our vault of past projects that meets your need or we can design and create specialty custom-made items from concept to finish. Department of Transportation (DOT) approved work is one of our specialties. If you’re in need of quality concrete elements for your next construction job, big or small, then you should contact us today and we’ll offer you a solution to your precast job.